Traffic is very important to the success of every webmaster and blogger. It doesn’t matter how great your content is, it still needs to be read and it is traffic that makes this possible. 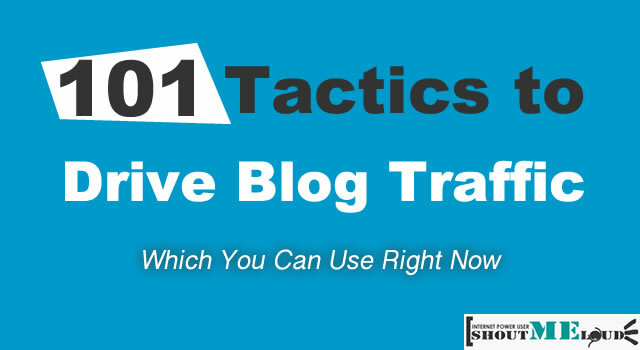 This post will be listing 101 ways by which you can Drive Blog Traffic. 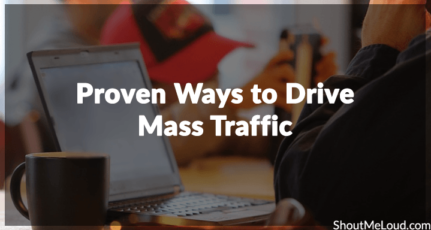 By driving traffic doesn’t mean just getting more visitors. Before you start with your drive traffic campaign, make sure you set your goals. For example, if you are building traffic for your consumer website, you need to take care of demographics. Getting those visitors, who doesn’t have purchasing power is waste of time and resource. Similarly, on blogs, if you are not getting targeted traffic from search engines or from referral sites, your conversion rate and CTR will be too low. So let’s start with my big list of traffic driving formula for your blog. Do remember, we keep updating the article as we learn more. Don’t forget to bookmark this page for future reference. This is the first tip which anyone would give to you. A Quality blog comes with quality content. Write well researched and detailed information. A good post will not only be loved by your readers, it will also get you natural back links which will improve your search engine traffic. Needless to say, commenting helps in many ways. Free Backlinks and also for personal branding. Follow one thumb rule: Comment only when you have some value to add, else if you like the post and want to show your appreciation, instead of just saying “nice post”, like or share that post. With article directory value decreasing, it’s always a good idea to start guest posting. With a clever guest post campaign, you can build HQ backlinks and also increase your credibility. For a good Moz rank, it’s important to get high backlink and also to your internal pages and now homepage alone. Alright, I know SEO scares you but believe me it’s easier than installing a WordPress blog. It’s like some good practice that everyone should follow. Learn about onpage SEO and also about how to give proper SEO structure to your blog. My suggestion, spend 2 hours a day for learning SEO and by the end of month, you can take care of most of basic SEO issues. 5. Participate in forums related to your niche and include a link to your blog in your signature. 6. Make use of trackbacks – A trackback on copyblogger sent me over 20 unique visitors. Now, when I say write list posts, it doesn’t mean go ahead and work like “Top 10” “Top 101”, make sure your list is up to the mark and actually contains “Top” “Best of” instead of random websites or apps in your list. 9. Write 101 list posts like this. Everyone needs traffic and share your strategy which works for you. People like other bloggers who share the secret instead of keeping it to them. Email marketing has existed from long and it will be there for long. People don’t like to miss Emails, and by creating a targeted mailing list, you are actually making a fortune for yourself. 12. Write for tutorial sites – Like tutorialized.com, many of these sites can send you thousands of visitors per article. 13. Work on getting covered by the media – this alone can help you gain a lot of traffic. 17. Join secret bloggers club where they do retweet and promote each others post – this alone can send you a decent number of traffic. 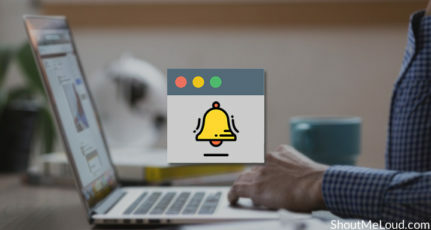 Always ping your blog after writing your blog posts using a site like pingomatic (Ping O Matic) – this allows some sites to cover and and can lead to an inflow of blog traffic. 19. Submit your blog to blog carnivals. Who doesn’t like free stuff? Start a giveaway or blog contest and get more real targeted subscribers. You will be amazed with the response which you usually get for contest. You can always start with 1-2 free domain giveaway. 21. Create cool videos related to your niche and mass distribute it to all popular video sites. 23. Submit your blog to feed directories – they can distribute your blog posts to so many sites thereby leading to increase traffic to blog. 24. Write a press release about your blog and submit it to free press release websites. 25. Advertise your blog using Google Adwords. 26. Advertise your blog using Facebook Ads. 27. Advertise your blog on your local television station. 28. Advertise your blog on your local radio station. 29. Advertise your blog on your local newspaper. 30. Advertise your blog on online yellow pages. 31. Create a professional twitter account, get some followers and start tweeting your blog posts (make sure to use #hashtags). 32. Add social sharing buttons to your blog (at the end of all posts, preferably) – you will get more traffic when people share your posts. 33. Submit your blog to blog directories – they also send some good traffic (especially if you are a new blogger). 34. Submit your blog to website directories – every little traffic adds. 36. Start a controversial topic – Be very careful with this though, so that you won’t regret your action. 38. Sue Google or any big company – the media will cover this and boom you are already getting lots of traffic. 39. Always submit your post to Flipboard, Pocket, and Reddit (make sure you submit many other site’s posts to so that they don’t ban you for spamming). 41. Answer questions on yahoo answers and use your blog as the source. 42. Write a post featuring the top influencers in your niche e.g. top ten internet marketing blogs, they might retweet the post and you will get some traffic. 43. Contact many bloggers and ask them the same questions, compile all their answers into a post – They will most likely retweet it. 44. Interview the top bloggers in your niche – they will retweet it and they might even end up linking to it on their blog. 45. 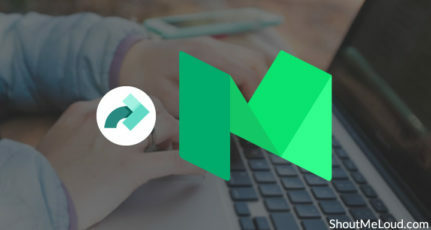 Be the first to cover top news – big blogs like techcrunch will cover it later and link to you as the source. 46. Get listed in Google news. 48. Make video posts. Video Blogging is great way to go viral. 49. Write posts in relation to celebrities e.g. What Michael Jackson’s death taught me about blogging. 50. Write great, super-duper, killer headlines – headlines matters a lot nowadays. 51. Do something that has never been done (sounds difficult? It won’t go unrewarded :)). 52. Submit your blog posts to niche social bookmarking sites. Ex: ManageWP for WordPress related articles. 53. Look for a top or medium blogger in your niche and disagree or agree strongly with one of their posts – they will want to prove themselves in another post and they will end up linking to you, and this means more traffic. 54. Advertise your blog on craiglist. 55. Try and review products related to your niche on Amazon, you can link to your blog in your review. 56. Review big websites related to your niche on Alexa and try to link back to your site in the review. 57. Submit your posts to digg – try to look at which type of post goes popular there, submitting its type will help you get similar results. 58. Contact a few of your blogging friends (maybe 10) and ask them to help you share and vote your blog post on social bookmarking sites. 59. Interview many Top people in your niche at a time. 60. Do a face-off comparing some top bloggers in your niche. 61. Take a look at a celebrity that has a lot of fans and write a post on why the fellow is not supposed to have any fan ;). 62. Make sure your readers subscribe to your feed, this will bring about more repeat visitors (which is worth more than one-time visits). 63. Become a social media power user. 64. Make influencers and power users your friend. 65. Make it easier to translate the content on your blog – this helps you gain more international visitors. 66. Proofread your blog posts regularly – many people won’t link to unprofessional articles. 67. Start a very creative product/company/website – a lot of big blogs (like TechCrunch Producthunt) likes to write about you. 68. Make the news at all costs – people will search for your name in Google and then land on your website. 69. Sponsor charities and give them a link to your blog, they will be very happy to link to you thereby leading to more traffic. 70. Build a very useful tool e.g. a great SEO tool – this will lead to more link to your website and more traffic too. 71. Join a blog webring. 72. Add a forum to your blog. 73. Try to have guest posters on your blog – Some of my high traffic posts are from guest authors. 74. Advertise your blog on billboards and flyers offline – offline marketingcan also help. 75. Make a custom T-shirt with your name on it, distribute some to other people freely and also make sure you wear yours regularly. 76. Write great posts that start with [Pls Don’t Read] – people are so curious and will want to read, thereby sharing your great post. 77. Try to do free blogging seminars in your local area, collaborate with top people over there and let them help you gather people together – use the free seminar as an opportunity to advertise your blog. 78. Sponsor blog contests in your niche – this is a cool way to get backlinks and blog traffic. 79. Be a friend of all top bloggers in your niche – they can mention you once in a while thereby leading to more traffic to you. 80. Write an “Ultimate Guide” to something – this often goes viral thereby leading to more retweets, shares and traffic. 81. Creat a survey about a popular subject and publish the result out for the public to see – this will lead to backlinks and traffic. 82. Write a blog post listing the top power users on a particular social bookmarking site – this will lead to more backlinks and traffic. 83. Create a post that ranks people/things/place – e.g. “The top 10 cities in the world” (try to make this go in line with your niche). 85. Release a free ebook and link to your website in it, it can go viral and lead to more traffic for you – I am not talking of ebook to build your list, I am talking of something absolutely free. 86. Create free CSS templates and submit them to CSS directories while linking back to your blog. 87. Have a custom design for your blog under a great framework and tell the developers to showcase your blog in their gallery. 88. Launch a traffic contest – tell several people to do their best to send traffic to your blog in a month. Make sure you give the top referer a price (the price must be attarctive if you want the best). 89. Create several great podcasts and submit it to itunes (with a link back to your blog, of course). 90. Try to make it to the delicious frontpage. 91. Have a facebook fan page for your blog – I didn’t know how much traffic I was losing by not having one until recently. 92. Always do a weekly link love post in which you link to 10 or more bloggers, if you do this consistently you will begin to get more people link to you also thereby leading to more traffic. 93. Always do keyword research before you write your posts – many people are missing a lot of search engine traffic because of this. 94. Create a mobile version of your blog – catering for different types of audience means more traffic for you, some people only browse from their mobile phones. 95. Create an iPhone app for your website – iPhone is very popular and you can leverage its power to your benefit. 98. Join Facebook groups related to your niche and participate. 99. Advertise your website using the Reddit ads – the more people like your ad, the more free traffic you can get. 100. Put your blog address on your business card – many people overlook small things like this, yet it works. 1. Be on every social networking sites and post a link to your latest article everyday (this alone will get you hundreds of views to your articles daily and more backlinks to increase your search engine rankings). 2. Do everything in this post – I am a close friend (very close) to almost all of you reading this post and I know you are only planning to read and share this post, why not do everything listed in this post and see how it works? Do let us know which tips are working for you to Drive Blog Traffic? Don’t forget to subscribe to our Email newsletter to keep receiving such useful updates. Great tips I use most of them from blogging, video marketing, social marketing, forum posting, to classified ads they all work great when added together for targeted traffic. My favorite is video marketing because of the potential viral aspect of video marketing. 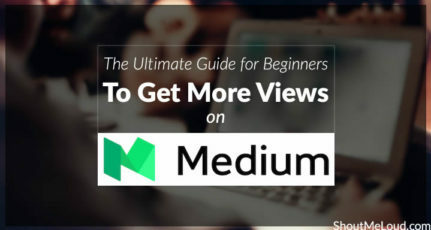 “ultimate guide ” is really a nice trick to improve blog traffic . Instead of link bait, that was “comment bait” aye? Intentional or not, it worked! Wow, that’s really a long and helpful list. 101 tips? well, i’m alreadu doing some of these but i’m really grateful for giving me insights to areas i never though about before. Following many of your tips for increasing traffic to my blog. Even Haro or Help out a reporter website can also be used for taking help or suggestions from experts while writing any research based article. Because articles with experts opinion rank well in Google. Am a novice in terms driving traffic!!! but I would like to thank you for the efforts you have made in writing this post . I am hoping the same best work from you in the future as well. Really the blogging is spreading its wings rapidly. I must confess Bamidele, that this is a great work. Definitely, I have gained tremendously from it and I will apply what I have gained on my blog to make it go viral too. Keep it up. Although it is easy to read, but to implement all of them will take quite a lot of time and energy. I will suggest, that you firs know your site and decide which among these will suite best for you and will help you grow with minimal investment of time and focus on them first. This article helps m alot…I am just entered into bloging with wordpress & I have also created blog. But I am not getting traffic but after reading this article I think I can try this tips to enhance my blog traffic. Great post this is pretty much everything everyone should do if they really want to see results on their blog. See A Massive Traffic. Thanks for sharing informative matter about newbie. No doubt this is time taken process but certainly result would be great one. Best Wishes for future posts!! !